Ola money app released for Windows phone with all new exciting features.With the all new Ola money App, you can pay for your olacab rides, cleartrip, cafe Coffee day, Mumbai metro etc. 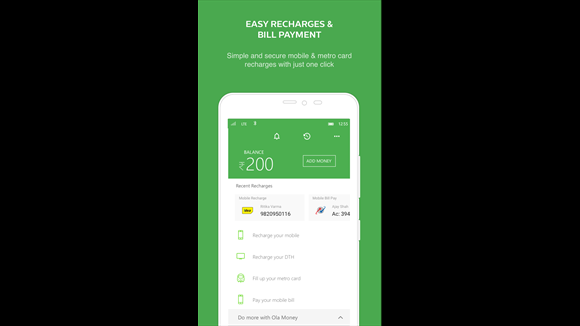 App also features loading funds in wallet, Mobile recharges and bill payments,DTH recharge and DATA card recharges,Metrocard recharges and money transfer.The app can be recharged via. Credit Cards, debit cards and net banking . •Check your transaction history and remember where you spent your Ola Money. You can download the app from here!